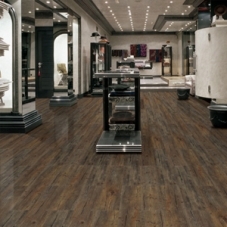 Roppe vinyl flooring is available in several selections that are perfect for either commercial or residential uses, offering you the chance to add style and flair to either your home or office! These floors offer looks that are modern, professional, artistic, and natural, so basically everything you could want or need, except maybe strawberry flavored. Hmm…flavored flooring… Good idea? 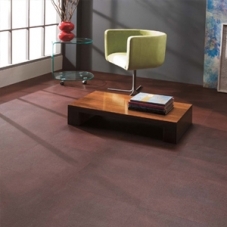 Anyways, forget about that and take a look at the selection of Roppe vinyl flooring that EcoMOSO has to offer. These floors are awesome! Why not up your chances of actually getting your estranged family to visit for once by beautifying your space with a fashionable flooring option such as these. This collection of Roppe vinyl flooring looks great wherever it is applied and will be perfect for accentuating designs of almost any taste. Do you desire a contemporary look for your home? These floors can do that. What about classical? Yup. Do you like spinach? Well that has nothing to do with flooring so quit trying to get me off track! 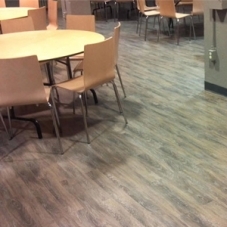 Vinyl flooring is not only great looking, but is also perfect for high traffic areas, or areas of a home where heavy damage is likely to occur to other types of flooring since vinyl flooring is extremely durable. Now you can finally have a beautiful floor that you can be proud of, creating a gorgeous space in your home that will last for years to come.